FIT Adventure Sports Travels special in trips allowing participants to come in contact with local nomad people. While mountain biking through the mostly untouched landscape you get to know and understand the authentic nomad culture! No cars whatsoever, but clear blue skies over the magnificent Altai Mountains harbouring Kazach nomad people in this western part of Mongolia. Challenging tracks amidst stunning natural territory, breathtaking landscapes and along comfortable huts of the Kazach people, showing you their withdrawn way of living, only aimed at authentic primary needs. For example their way of hunting with horses and eagles. Learn to get familiar with one of the most beautiful countries of the world in which men and nature are still in perfect harmony. Where people still value the practice of authentic traditions and characteristic rituals. Thus, combine a 4 day Mountain Bike Challenge with participating in the centuries old Eagle Festival in the Altai Mountains of Western Mongolia. 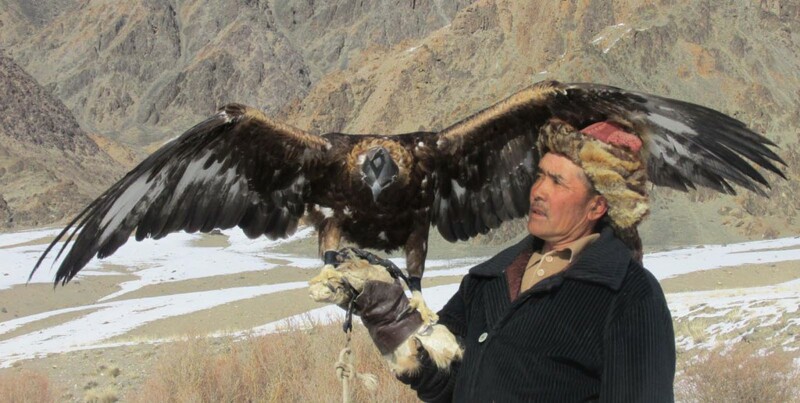 During two days Kazach nomads show their abilities and technical skills to hunt with horses and eagles. In addition to these hunts with their proud royal eagles, you will also witness spectacular camel races. 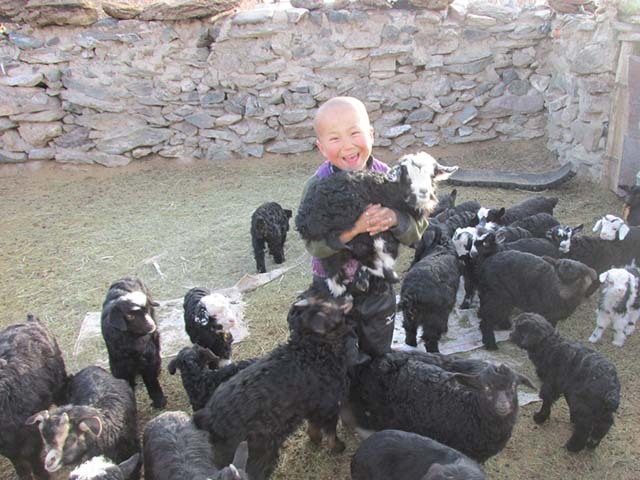 We offer you options to extend your stay to visit the Gobi Desert along the southern border with China, as well as the northern border with Siberia with its natural taigas. And of course also the extensive green pastures of Central Mongolia! In addition you might enjoy the extra opportunity to travel by train from China to Russia with the famous Trans Siberia Express, visiting cities like St. Petersburg, Moscow and Beijing. The event will be organised with a minimum number of 10 participants. In case the event has to be cancelled, you will be informed not later than 4 weeks before the scheduled departure dates. When the minimum number of participants is registered, you will be informed directly on the exact dates the event will take place, including details regarding the travels involved. Upon arrival in Ulaanbaatar a bus transfer will take you to your hotel. During the rest of the day you might enjoy some leisure time. For example, a sight seeing tour, including a visit to the Gandan Monastery. Its monastic community, amidst the vast temple complex, is still active nowadays and harbours the tallest standing Buddha (26 m high) in Asia. We offer you a wellcome dinner in an enormous Mongolian tent, including traditional music and dance. 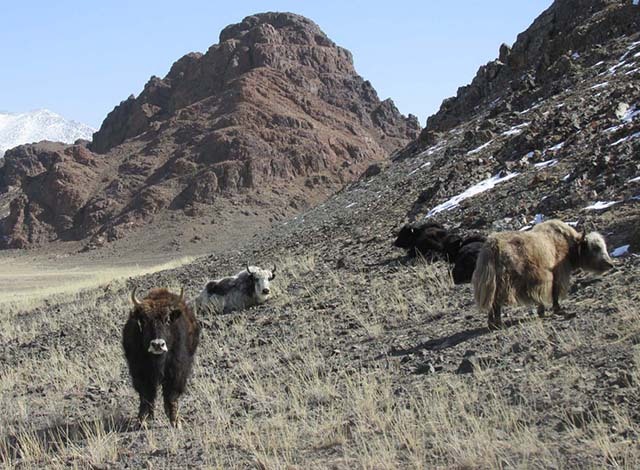 Following breakfast a flight transfer will bring you to Ulgi in West Mongolia, that gives way to the majestic and almost untouched Altai Mountains. A 35 km mountain bike tour along endless green pastures leads you to today’s campsite in Sagsai Country. 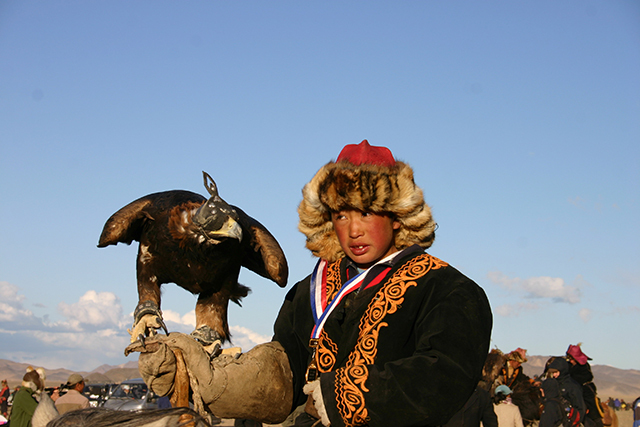 These two days will have you enjoying the activities of the Golden Eagle Festival. 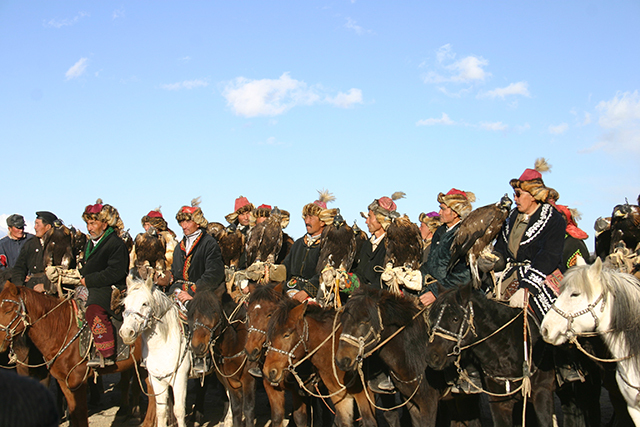 On the morning of the first day, you might witness the opening ceremony of the festival, where participants on their horses and accompagnied by their royal eagles make their entrance. All participants show their uniform, outfit and material means for the hunt and in the afternoon they will show their technical skills and speed, working with their royal eagles. The evening program offers you a concert with traditional Kazach songs and dances. During the second day of the festival the royal eagles will show their speed and abilities to catch fox skins from adjacent rock cliffs. Next, these local nomads take part in a traditional game, called Kekbar, in which they – seated on the back of their horses –pick up and pass on goat skins. It certainly requires technical horse riding skills as well as enormous agility. Towards late afternoon hours the festival winners are announced and celebrated, followed by a grand and festive dinner for participants and visitors. All four days we will undertake mountain bike tours of some 60 to 70 km off-road. Every tour will challenge us to cover rough terrain and moderately steep slopes. On the way we view the every day life and dwellings of nomad people, while we find the opportunity to find new strengt h and inspiration with nutritious food and drinks. Every evening we return to our campsite to stay fort he night. Today’s program brings a splendid walk to snow covered slopes of the surrounding mountains. Here we visit a traditional nomad family who live in felt tents and herd their horses and cattle. While sharing with us their sometimes harsh every day life, we also learn to recognize and value this cultural existence of nomad people. We will stay for the night in a campsite nearby. Leaving yesterday’s campsite a car transfer brings us to Ulgi Airport, where we take an inland flight back to Ulaanbaatar. Here we visit a historical museum and the local market and we stay for the night in a local hotel. After breakfast a bus transfer will take us to Ulaanbaatar International Airport for the flight back to The Netherlands, where we arrive at the very same day. To apply for a visa you need a passport, valid for at least 6 months following departure to Mongolia.